Sell Kilowatt Hours from your Solar Roof? One Day You’ll Sell Kilovars too! In California, a big change is about to happen to the way energy is sold to the grid. Currently, if you have solar on your roof, you likely have sized it smaller than your total needs for the year, because the utilities have not been too generous in paying you for your individual contribution to the supply of energy on the grid. But a new arrangement is about to start in California, and if you plan to go solar, you should know how this will work. CA-ISO, the California Independent System Operator is getting ready to allow anyone who aggregates a bunch of distributed solar roofs together, to sell that power into the energy market. Till now, the utilities and the ISO have not been able to “see” how much distributed solar is out there behind the meter. All they see is its “shadow”; the reduction in demand on the grid. But if it could be made visible, it could be used positively as a grid asset like a power plant. So, instead of tracking all the solar roofs and electric vehicles and batteries individually, it is going to allow third parties — whether utilities or private companies — to aggregate them into virtual power plants of at least a half megawatt. A typical home is under 5 kW, and that is too little to be useful to CA-ISO. But put together a large bunch of solar homes, or batteries or EV chargers into a 500 kW aggregation, and that is a very different picture for the grid. These so-called distributed energy resources (or DERs) could be any resources on the customer side or the distribution grid side of the electric system, such as rooftop solar, energy storage or plug-in electric vehicles or even “nega-watts” like demand response, which is another huge potential source that could be aggregated and wielded just like a power plant. Demand response is where large commercial electricity users like hotels, or large factories, for example, agree to let the utility remotely control their air conditioning temporarily – in a way that is imperceptible on site – in order to ease peak demand on the grid. California will be the first state in the nation to allow this aggregated distributed energy to be sold into the marketplace. So who will be these aggregators? The aggregator could be a utility “or any other entity, to have access to the ISO electricity market,” said Steven Greenlee spokeman for CA-ISO. It could be an existing solar company, for example. 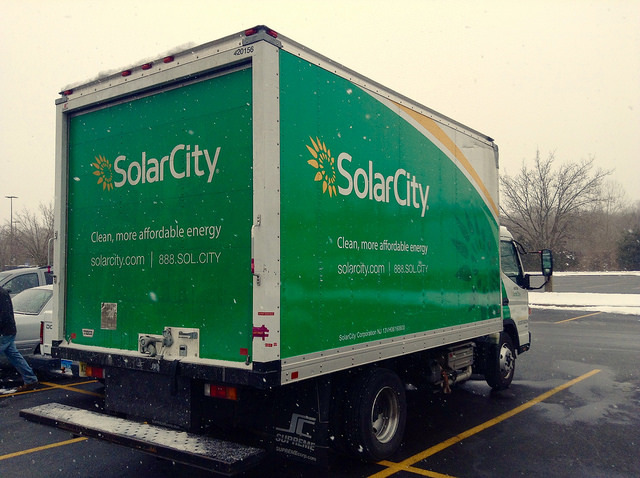 SolarCity sold 300 energy storage units last year in California. These could be aggregated together and their combined storage sold into the market. 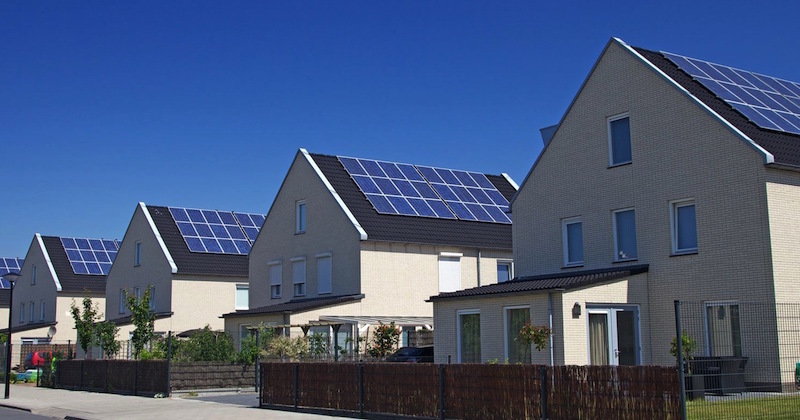 If a large collection of solar roofs or home batteries, or electric vehicles could be put together and organized, these DERs could, in large groups supply different kinds of value to the grid like smoothing power and shifting demand peaks. This also includes needed grid services like capacity, reserves, frequency regulation, and demand response. Southern California Edison (SCE) is already aggregating nega-watts. It has arranged with Ice Energy to put together over a thousand of its thermal storage units – that freeze water at night with wind power and use it to reduce A/C energy use the next day – into a 26 MW total to cut demand immediately when needed near two substations. From the system operator’s point of view, for system reliability, ideally each DER has to be composed of assets within a particular utility district. There are three main utility districts within the state. But if they do span multiple districts, then the ISO would prefer that they would have to be the same type of resource and be doing the same thing. So, if you plan to aggregate in part of California where some of these solar roofs and home batteries are in the San Diego Gas & Electricity (SDG&E) district and some are in SCE’s, then you would want to pick one or the other and aggregate say 100 solar roofs or 100 EVs across the two districts. The concern is that otherwise it would impact CA-ISO’s ability to assess congestion and identify critical constraints, according to Greenlee. If there is some kind of energy supply or frequency issue within one district, the ISO wants to be able to call on distributed resource aggregations to alleviate that constraint. But if the group of DERs spans across both sub-LAP regions, then one group can’t balance out the other. 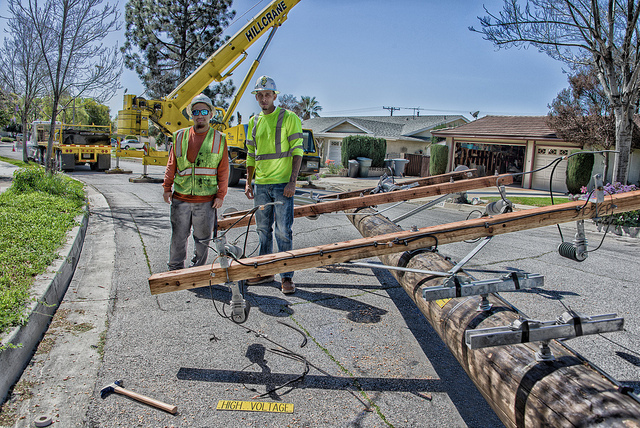 Some utilities are already out front in this new distributed grid. SCE, which has more customers who have gone solar than any utility in America, is showing how utilities themselves could utilize this new market framework. SCE is aggregating 1 GW of demand response into wholesale energy markets. This is more capacity than most thermal power plants, about the capacity of a nuclear plant. But instead of being one giant centralized power plant, this 1,000 MW of demand response consists of a group of about 320,000 customers who have signed up to automatically reduce energy use when sent a signal from SCE, in order to decrease stress on the grid, when demand peaks. Of course, from the individual solar roof owner’s point of view, there would have to be something in it for them too. One idea, according to Josh Gerber, Smart Grid Manager at SDG&E, would be if instead of just selling power by the kilowatt hour, using smart inverters, solar homeowners would be paid for these grid balancing services by the kilovar. “What we have now is a coarse-grained view of data. Smart inverters have the potential to give utility operators a fine-grained view of solar production data,” said Gerber.